Partei des dundorfischen Mittelstandes chairwoman Theresia Amelie Auerswald. Earlier this week a new political party was proclaimed to challenge the reigning Communists. The Partei des dundorfischen Mittelstandesr (Party of the Dundorfian Middle Class) has found itself as the sole opposition despite not holding a seat in the Volkskammer. The PdM is an umbrella organization of several factions. Under this umbrella rest the owners of small- and middle-sized business enterprises, the so-called Mittelstand of Dundorf and the traditional backbone of the nation's economy, although in recent years they have found much of their profits and their businesses seized or nationalized with little-to-no compensation. Naturally, while holding a refreshing pro-business attitude, the PdM also encompasses general conservatives and monarchists who look longingly at the stability of the Dundorf's northern neighbor Dorvik which has long held off the tides of leftism that ebb and flow in Dundorf. "The people are tired of such dramatic changes, both left and right," observes Theresia Amelie Auerswald, chairwoman of the PdM. "What they want is rule from the center. Let us build such a nation and work alongside those whom we disagree politically. For we all agree that Dundorf needs to improve and be pulled into the modern world. We isolate ourselves at our peril. Here's too a new order in this country!" After repeated negligence of adhering to the DDR's Socialist Protection Bill, which banned capitalist, monarchist, fascist, and nationalist parties from forming a political organization in the Volkskammer, the PdM, of who meet 3/4 criteria of the ban, were effectively shut down by the Dundorfische Volkspolizei. Armeegeneral der Volkspolizei Wilhelm Tanzer declared the operation a "resounding success". After the DDR's first general elections, the PdM obtained an alarming 235 seats, while still continuously violating the Socialist Protection Bill. Herr Tanzer declared that police action was "absolutely necessary for the return of stability to the DDR". Police forces contacted the Minister of Justice for request of a warrant to enter the home of Ms. Auerswald to issue an arrest. After doing so, the party's headquarters were also searched and several arrests of key party members were conducted there and at the Volkskammer. When spoken to by Neues Dundorf, Herr Tanzler said that most of the largest opposition was removed from parliament and stability was soon to return. He also thanked the efforts of fellow policemen for their commitment to duty during this time of great instability for the working class. He also stated that the VoPo would be more vigilant for organizations that spring up that also wish to infringe upon the law. "We have no place for lawbreakers in our country. The political parties in our parliament asked them repeatedly to submit to the ban but they continued to be reckless and refused. It was only a matter of time until something like this happened." Herr Tanzler gives a statement to press from his desk. A squad of Volkspolizei Officers moments before entering the home of Ms. Auerswald to issue her arrest. Former-PdM Chairwoman Theresia Amelie Auerswald explains the dissolution of her party on The Konrad Schwartz Show. Neukirchstadt, Oderveld - The Volkspolizei held Theresia Amelie Auerswald for less than 24 hours but made up for this temporary detention with the permanent destruction of her party, the Partei des dundorfischen Mittelstandes. DDR officials have accused the PdM of violating the Socialist Protection Bill which outlaws all left-wing parties. What will happen to the PdM's 235 seats in the Volkskammer as they can no longer be organized as a party? Frau Auerswald answered this question. Soon after being released from VoPo headquarters she ran to a local talk show. Shockingly, she found that her official television ban had not yet been enforced and quickly took the airwaves. On Schwartz's program, Auerswald announced that the deputies who formerly were the Partei will become unattached, independent deputies of the Volkskammer. "This seems to be the one way to skirt the Socialist Protection Bill," Auerwald stated. "It states that parties are banned but not individuals. Therefore, the deputies will not have a formal organization but will instead vote independently. However, it will just a coincidence that their voting patterns will align. There will be no proof of cooperation or collusion. They can arrest us all - and I'm certain that we will be arrested at some point - but they cannot ban us as we are not an organized party in the full sense of the phrase." In a surprising move, Generalsekretär Albrecht Schultze announced that the VKPD would allow the Alliance of Social Democrats (Allianz der Sozialdemokratischen), a previously liquidated faction that was absorbed by the Metzist Communists all the way back in 4310, would finally be able to independently practice their political beliefs in the party's headquarters and be able to send delegates to the Volkskammer, but still representing the VKPD. Despite still being under the VKPD, the ASD has surged to the top opposition faction in the party, with an estimated 42% popularity. Herr Schultze's move was likely due to the recent political instability in Dundorf after a capitalist party, named the PdM, in direct violation of the Socialist Protection Bill, sent delegates to the Volkskammer and won an alarming number of seats in parliament—All whilst still breaking the law. Finally in a move that saw criticism by some members of the VKPD, but likely inevitable, was the forced dissolution of the organization and the arrest of its leader. To appease those wanting reforms, the Alliance of Social Democrats was reestablished by members of the Zentralkomitee, then began practicing independently within the VKPD. 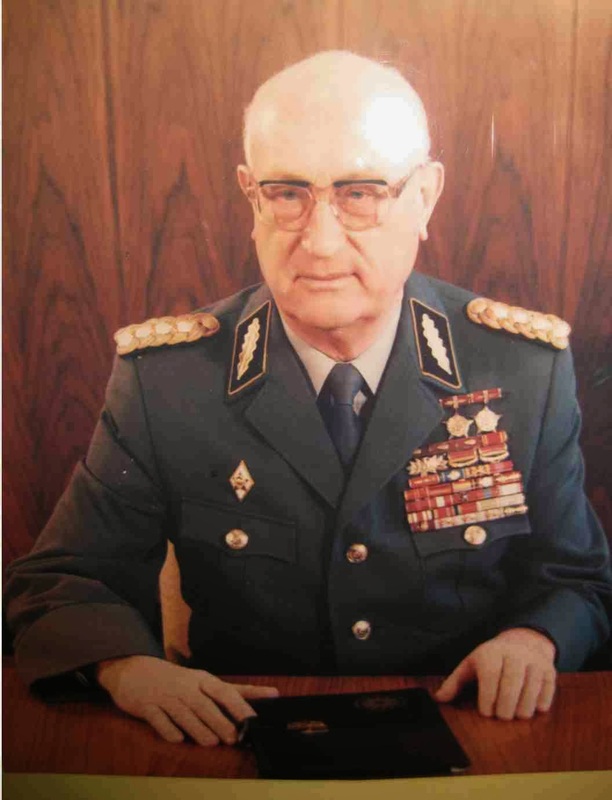 The faction's leader, Helmuth Krauß, even arranged an agreement with Leonidist faction leader Andrei Viktorov which would see their faction integrated with the AdSd. The forming of a rival faction within the ruling party of Dundorf for much of the 2nd DDR's existence was met with warm reception, with the VKPD's Chief Delegate in the Volkskammer, Ortwin Zellweger, even giving Krauß a bouquet of flowers, a token of socialist brotherhood. However, there was small criticisms made by hardliners of the party. Generalsekretär Schultze justified his actions by stating "We are still in the process of achieving full Communism. The DDR is currently a socialist state, and as such, to assist in the advancement to full Metzist Communism, all socialist parties are welcome. It would be unjust to not allow them representation." In an incredible turn of events, it seems the VKPD has finally begun to open up to small reforms from within. Reporters from Neues Dundorf were able to capture numerous photographs of the event, taken by our field reporter, Günter Hermann. Herr Krauß announces the reestablishment of the Alliance of Social Democrats, shortly after the meeting of the Zentralkomitee. Ortwin Zellweger gives Krauß a bouquet of flowers, as a token of socialist brotherhood. Krauß and Viktorov meet to arrange the absorption of his faction into the ASD. 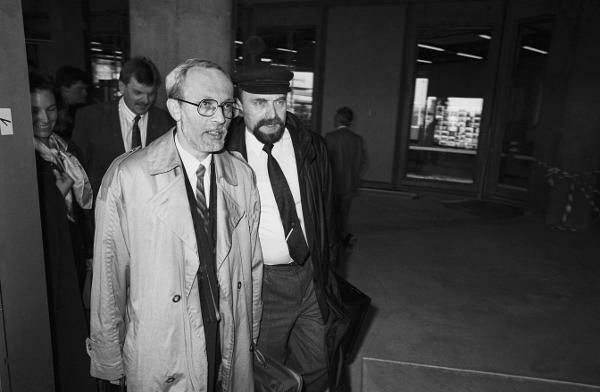 Krauß and other allies leaving the Volkskammer tonight, shortly after a press conference. With elections two years away, and a clear divide shown in the party, the VKPD, now the only fully communist and ruling party in the DDR, has held its leadership elections early, and the Alliance of Social Democrats faction, of whom gained 42% popularity, won a clean sweep, with the faction's leader, Helmuth Krauß becoming the new General Secretary. He thanked the communists graciously for allowing the social democrats to practice their political beliefs from within, and has committed to establishing a friendly relationship between the two factions. In his victory speech, he announced that the party would undergo some name changes, and the abolishment of the office of General Secretary, instead changing it to Chairperson. He also announced that the name would be changed from Volks Kommunistische Partei von Dundorf to Partei des Demokratischen Socialismus. He also announced numerous social reforms which would give some freedom back to capitalists, but ensured that Dundorf would still be ruled with some social democratic principles, namely the core ideal of Metzism which is the ownership of the means of production, with non essential items would be given some room for the private sector, such as the media. The new PDS party also announced that it would set forth plans to abolish the Staatsrat and Ministerrat, opting for the return of single-person positions. It seems the beginning of the end of communist rule has finally come for Dundorf and its peoples. Herr Krauß gives the peace sign after he receives the results of the VKPD's leadership elections. With the Partei des Demokratischen Sozialismus, the new party emerging from the ashes of the VKPD after a rapid wave of political changes occurring from within introducing their Repeal of the Governmental Structure Reforms Bill and Restoration of the Bundesrepublik on the eve of passing within two months, the DDR is at its end. So today the current ruling party allowed the Dundorfische Volksarmee to conduct one final military parade, and the Dundorfische Ehrenwache conducting a final changing of the guard at the Volkspalast. Reporters from Neues Dundorf were able to photograph numerous photos of the emotional event. 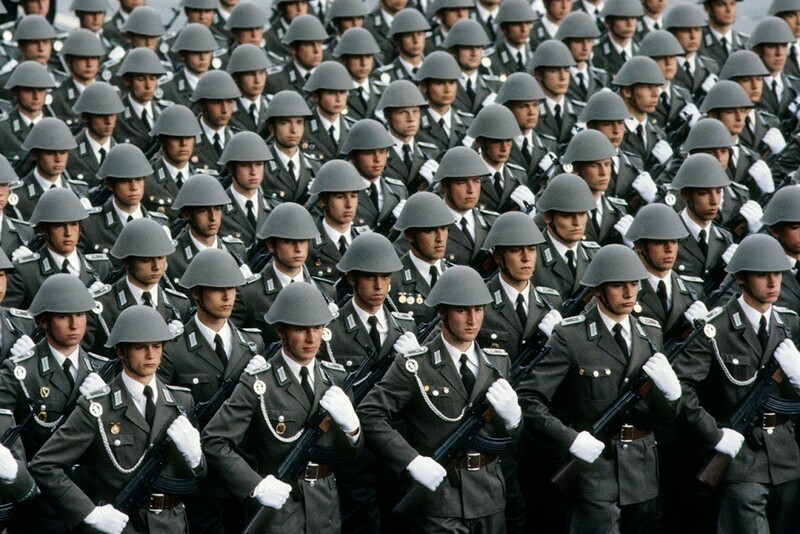 Several citizens present at the parade were seen tearing up upon the close of the Dundorfische Volksarmee, where upon the DVA would be given new uniforms that were previously standard issue in the Bundesrepublik. The PDS stated that it will likely sell the stock of DVA uniforms to surplus stores in Dundorf and other nations abroad. Our own field reporter admittedly got a little emotional as well. This emotional display already shows that the close of the DDR is certainly a bittersweet one. A massive amount of DVA troops conduct a military parade in downtown Dosmund, not far from the former VKPD's headquarters, the Volkspalast. 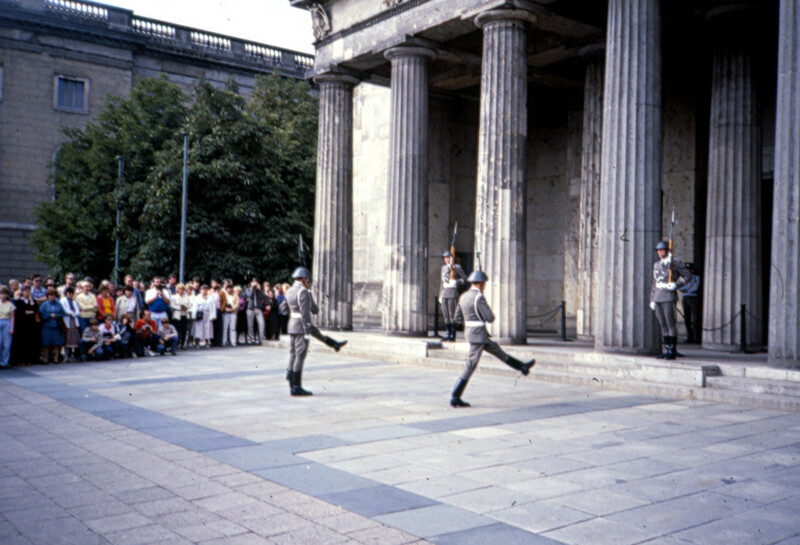 The Dundorfische Ehrenwache conduct one final changing of the guard at a government building in Zerlin. 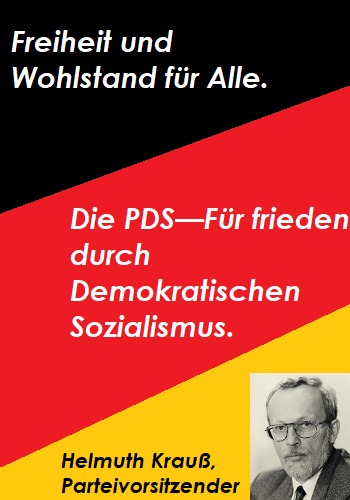 Die Dunburg Welt Herold: PDS campaigns for 4350 elections, promises "Freedom and Prosperity for All"
Campaign poster for the PDS, with their slogan: "Peace and Prosperity for All"
The PDS today commenced its campaign for the 4350 elections, encouraging a national unity government with their party and the PdM. They have however stated that a campaign coalition with them is unlikely, rather opting for friendly relations instead. Party Chairperson Helmuth Krauß was nominated for the candidacy of Bundespräsident for the upcoming elections. After having restored the Bundesrepublik and ushered in several reforms to allow some room for the private sector and more prosperity for the small business owner, the party wants to put the "scars of the past" behind them, opting for a return to federalism with social democratic principles, mainly in regards to the education system and industry of Dundorf. The successor to the VKPD has had enormous popularity from the working class, campaigning on their slogan, "Peace and Prosperity for All". How the party will fair in the first and second rounds for Bundespräsident is unknown, but with their status, a win isn't far within the realm of possibility. The PDS has won the elections of 4350 for the Bundespräsident and still secured their place as the largest party in the Bundestag, but keeping in line with their promises, they have chose to dissolve their party and hand the position over to a coalition government lead by the PdM and the NDVP. Helmuth Krauß thanked the PdM for cooperating with them for the revitalization of the Bundesrepublik in the post-DDR era and wished them good luck, hoping that the two parties would uphold the ideals of the recently reformed Bundesrepublik, still carefully recovering from small privatization reforms enacted by the PDS to give some relief to the working class of Dundorf, but still upholding socialist principles. The future of Dundorf is now uncertain, but with two capitalist parties, it seems more privatization reforms are soon to come. Whether or not they will still offer subsidies to education and healthcare, industries that the PDS has fought to upheld to make free, is undetermined. NOTE: These are not exhaustive, feel free to propose new paper titles and purposes (ie a Sports Magazine, etc), however, if one currently exists, just stick with it instead of creating something new. Have fun!